This was a fun new project! 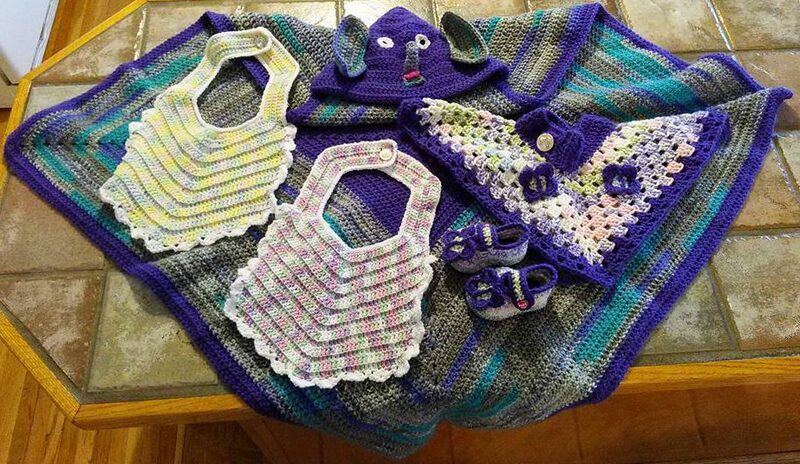 It began with the ladies version in variegated purple colors. My granddaughter fell in love with it, so of course I had to let her have it. ❤ 😉 Although she is short and it was pretty long for her, it looks great! She loves it for its snuggliness. Then a friend saw the posts on Facebook and asked if I could make one for her 2 1/2 year-old toddler. She had bought one of those new covers for her while in her car seat and the little one hated it and tried to rip it off. Evidently, it made her feel claustrophobic. I had Momma send me measurements. I sent her pictures of different options for the colors she wanted at Michael’s, and she picked the Barcelona Loops & Threads size 5 in Quartz color, soft yarn. It came out very nice. She loves it! The pattern was free: Warm Embrace Poncho from http://beacrafter.com/crochet-warm-embrace-poncho/. It is fairly easy but it does take some time. Here are my latest pair of what I will call Glittens. 😉 They are nice and long but can be folded to made shorter, and you can have the mitten style or the fingerless mittens. Crocheted in #4 denim colored yarn with sparkle dark blue embellishments, and little round gold buttons to fasten the mitt to if you want fingerless. 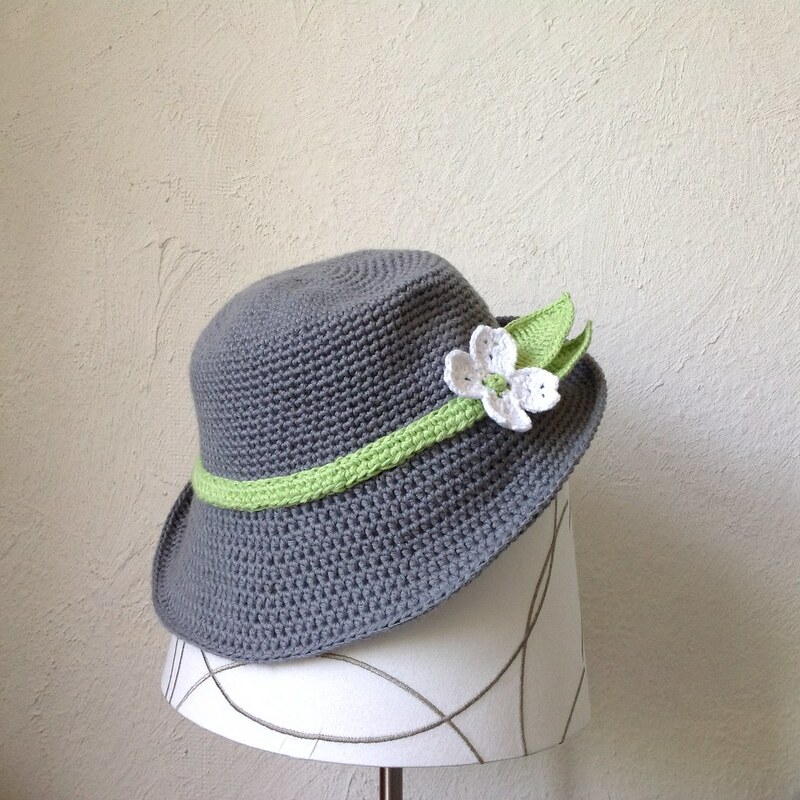 The pattern uses HBhdc (Herring Bone half double crochet) stitch and single crochet. So crochet has been slow this summer. I have begun working on Christmas gifts. I have finished one hat for sailors that I donate to out in Alabama called Fishers of Men Ministries. Last year I donated 32 crocheted winter beanies for the sailors. I have also nearly finished a fedora-style hat by Suvi at Suvi’s Crochet – suviscrochet.blogspot.com. She calls it Suvi’s Spring Hat. This is going to be a Christmas gift for a special lady I know who loves wearing hats and she wears them well. I have done it in varigated browns with a fuchsia colored dogwood flower and 2 sparkle green leaves, and the band is also sparkle green. I am having great fun with this and will post pics when finished. As we are nearing Spring, we may still have use for a little something to take the chill off and keep our fingers free. This little set for a gift to a dear friend turned out very nice! And just in time for all this snowy weather we are finally getting. Fingerless scale stitch glove with a cuff that can be folded or stretched out for length. Crocheted flower button fastens this pretty cowl to warm your neck. Who doesn’t love cozy comfy warm slipper socks? Yes, my dear oldest daughter found a great pattern for these lovely bulky knee-high socks. It took a bit longer than I had hoped, but that is because of some new stitches and techniques. They were great fun and match my daughter’s Christmas presents in the same colors. She said she could do without the little flower accents. As usual when I make slippers, I added some liquid rubber to make the soles non-slip. I was so very glad that Nadia Fuad at Yarnutopia made a wonderful, easy to follow video to go along with the pattern. I used a little bigger yarn, so they were a little chunkier. You may find the pattern and video here: Knee-High Socks Nadia is very talented! Just a few more of this year’s Christmas Gifts! I really feel like Mrs. Clause this year. And from what I understand, they were very well liked! Here is the finished custom order for arm chair doilies. ($15 each) I made my own pattern around an old pineapple stitch. Measures approximately 11″ wide x 13″ long as requested. I just made this as a little something in her get well card for a friend who just had surgery. She absolutely loved it! Quick and easy gift idea. More bags for some special loved ones for Christmas! Of course I had to add my own creativeness to these with the pockets, buttons, and trim.